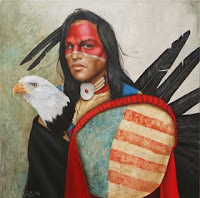 Sioux Shirt is oil on canvas, 30 x 40. 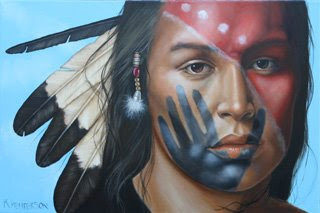 This painting is a bit different then my other paintings. 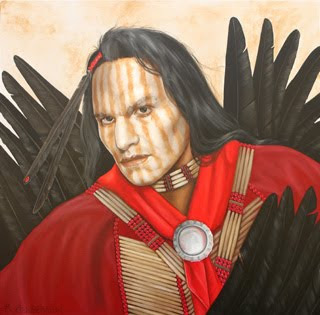 When I paint my Plains Indians, I sometimes spend more time on the clothing than I do on the face so I decided to do a portrait of a shirt. 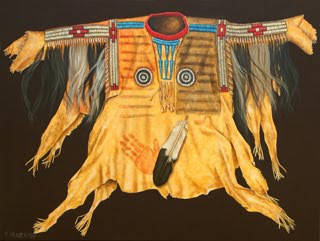 This buckskin shirt is embellished with quills, beads, hair and paint. Finally! 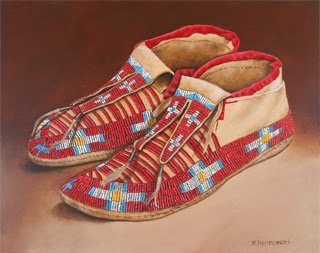 I have all my paintings finished for my show at Gallery 822 , Indian market weekend in Santa Fe. Greetings. It's hard to believe that its August already. My tomatoes in the greenhouse are turning red faster than we can eat them. And it seems that I spend half my time filling the hummingbird feeders. We have hundreds of Broadtail and Calliope hummers this year. 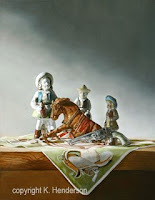 Breckenridge 18th Annual Juried Competition & Show. The gallery will have a special opening with the artists in attendance. Pots and Peppers, 30" x 30", oil on canvas. 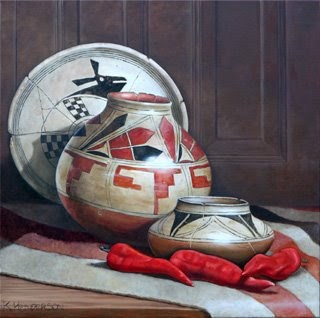 This will be one of my paintings that will be at Gallery 822 during Indian Market weekend in Santa Fe. 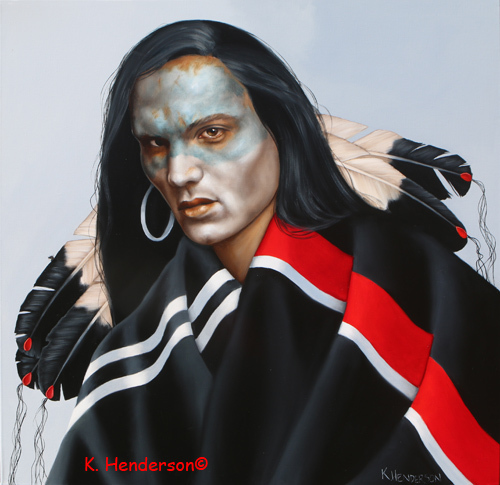 This painting can be purcahse from K. Henderson Studio for a few days. 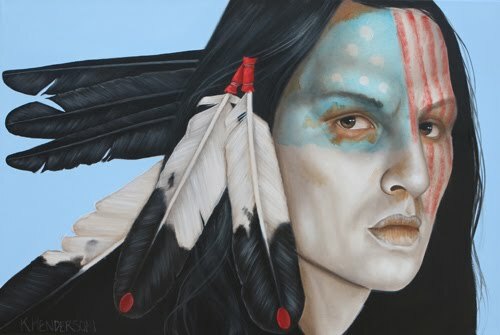 After that, it will be one of my paintings that will be for sale at Gallery 822 in Santa Fe.